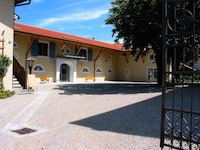 The Chiemgau impact – don’t believe in Wikipedia! The Wikipedia page “Chiemgau impact hypothesis” is still manipulating science and defaming scientific research for the worst, when the visitor reads in a few sentences that the impact hypothesis is obsolete. For some years now we have been trying to protest against this misleading of Wikipedia readers and the scientific community – in vain. Corrections we made with a host of documented quotations were deleted at once – apparently with the tolerance or even the forcing of the administrator. The initiators of this manipulation, partly close to an insult, are largely known to us as totally unrelated to the scientific research subject, which does not change the situation. For Wikipedia, this is not a glorious fact; the claim to encyclopedic honesty and correctness is not fulfilled in this case. The visitor and reader of this website is requested to use honest, scientifically correct and according to strict scientific rules oriented information of this website about the Chiemgau impact.. A compilation of the scientific findings, published internationally at renowned congresses and in peer-review journals, proves the existence of what is probably the largest terrestrial meteorite crater strewn field, which is also widely accepted internationally. 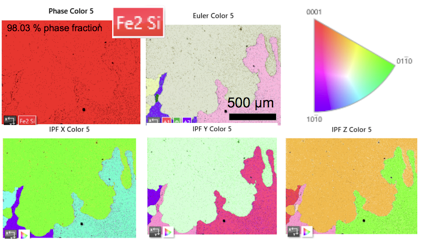 Procházka V. Trojek T. (2017): XRF- and EMP- Investigation of Glass Coatings and Melted Domains of Pebbles from Craters in Chiemgau, Germany. Lunar an Planetary Science Conference XLVIII. Abstract #2401.pdf. Ernstson, K. (2016): EVIDENCE OF A METEORITE IMPACT-INDUCED TSUNAMI IN LAKE CHIEMSEE (SOUTHEAST GERMANY) STRENGTHENED.EVIDENCE OF A METEORITE IMPACT-INDUCED TSUNAMI IN LAKE CHIEMSEE (SOUTHEAST GERMANY) STRENGTHENED.. 47th Lunar and Planetary Science Conference, 1263.pdf. Ernstson, K., Hilt, M., Neumair, A. (2014): Microtektite-Like Glasses from the Northern Calcareous Alps (Southeast Germany): Evidence of a Proximal Impact Ejecta . – 45th Lunar and Planetary Science Conference,. LPI Contribution No. 1777, #1200.pdf. Ernstson, K., Müller, W., Neumair, A. (2013): The proposed Nalbach (Saarland, Germany) impact site: is it a companion to the Chiemgau (Southeast Bavaria, Germany) impact strewn field? 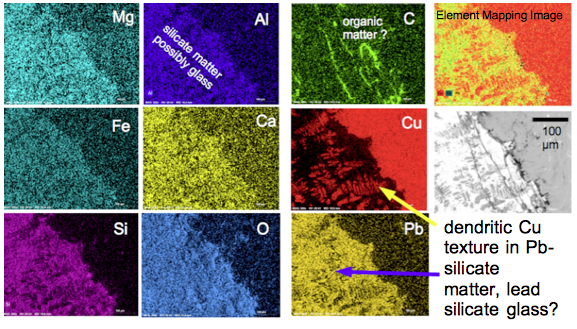 – 76th Annual Meteoritical Society Meeting, Meteoritics & Planetary Science, Volume 48, Issue s1, POSTER Abstract #5058. Shumilova, T. G., Isaenko S. I., Makeev B. A., Ernstson K., Neumair A., Rappenglück M. A. 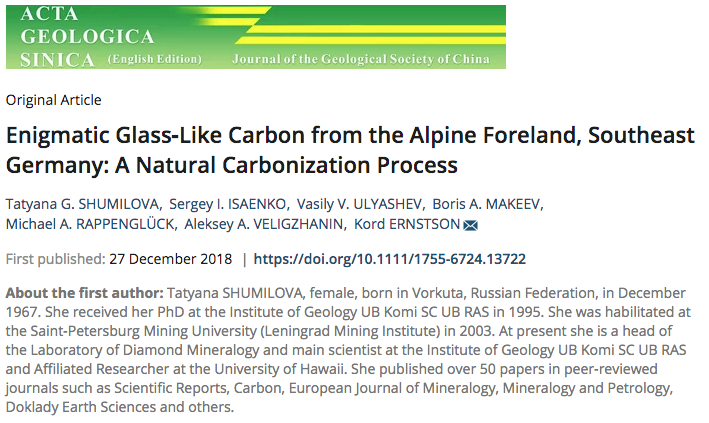 (2012): Enigmatic Poorly Structured Carbon Substances from the Alpine Foreland, Southeast Germany: Evidence of a Cosmic Relation. 43nd Lunar and Planetary Science Conference, 1430.pdf. Abstract. Liritzis, N. Zacharias, G.S. Polymeris, G. Kitis, K. Ernstson, D. Sudhaus, A. Neumair, W. Mayer, M.A. 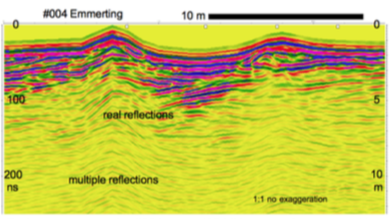 Rappenglück, B. Rappenglück (2010): THE CHIEMGAU METEORITE IMPACT AND TSUNAMI EVENT (SOUTHEAST GERMANY): FIRST OSL DATING. – Mediterranean Archaeology and Archaeometry, Vol. 10, No. 4, pp. 17‐33. Rappenglück, B., Ernstson, K., Mayer, W., Neumair, A. Rappenglück, M.A., Sudhaus, D., and Zeller, K.W. (2009):: The Chiemgau impact: An extraordinary case study for the question of Holocene meteorite impacts and their cultural implications. – In: Belmonte, J. A. (ed. ), Proceedings of the International Conference on Archaeoastronomy, SEAC 16th 2008 “Cosmology across Cultures. Impact of the Study of the Universe in Human Thinking”, Granada September 8-12, 2008, A.S.P. Conf. Ser., 2009. Barbara and Michael Rappenglück (2006): Does the myth of Phaethon reflect an impact? – Revising the fall of Phaethon and considering a possible relation to the Chiemgau Impact. – Mediterranean Archaeology and Archaeometry, Proceedings of the International Conference on Archaeoastronomy, SEAC 14th 2006, „Ancient watching of cosmic space and observation of astronomical phenomena“, Vol. 6, No. 3 (2006), 101-109. Pink quartz, not to be confused with rose quartz, is an extremely rare color variety, which is completely transparent and is only known from a few occurrences worldwide. 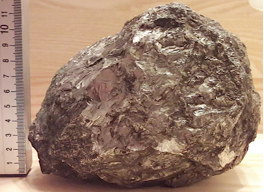 It is believed that the pink color is due to small amounts of aluminum and phosphorus that substitute silicon, and exposure of the quartz to natural gamma radiation. Sands with a dominating proportion of pink quartz excavated from the soil and extracted from a breccia layer in the crater strewn field of the Chiemgau meteorite impact suggest that normally colorless quartz sand was irradiated during the impact event and may possibly be found at other impact sites. CLICK the AGU Fall Meeting website with Abstract, Plain Language Summary and link for the DOWNLOAD of the POSTER. Direct DOWNLOAD of the POSTER. Note that for better legibility the poster PDF can considerably be enlarged on the monitor. cit. AGU Fall Meeting is the largest and preeminent Earth and space science meeting in the world. 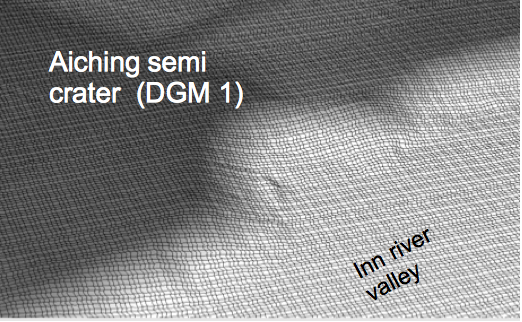 Not recorded in the topographical maps and soon blocked with a large stable it fell into oblivion and was only recently opened to the eye in full splendor by the Digital Terrain Model DGM 1 (Fig. 1). 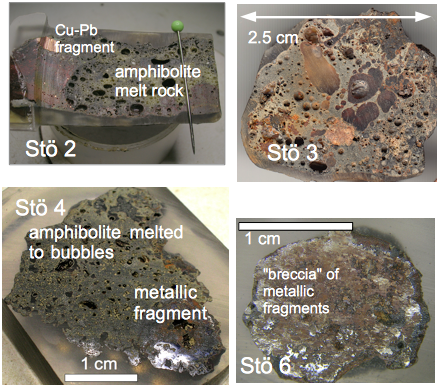 Chrudim – Pardubice: Evidence for a Young Meteorite Impact Strewn Field in the Czech Republic – Widespread finds of rocks and glasses with shock metamorphism and typical of meteorite impact suggest a Holocene impact event in the Czech Republic. The article reports on a newfound very young meteorite impact event in the Czech Republic amazingly similar to the Chiemgau and Saarland (Nalbach) impact events in Germany. A possibly simultaneous impact having affected Central Europe over a distance of more than 650 km is discussed. Click the abstract article! 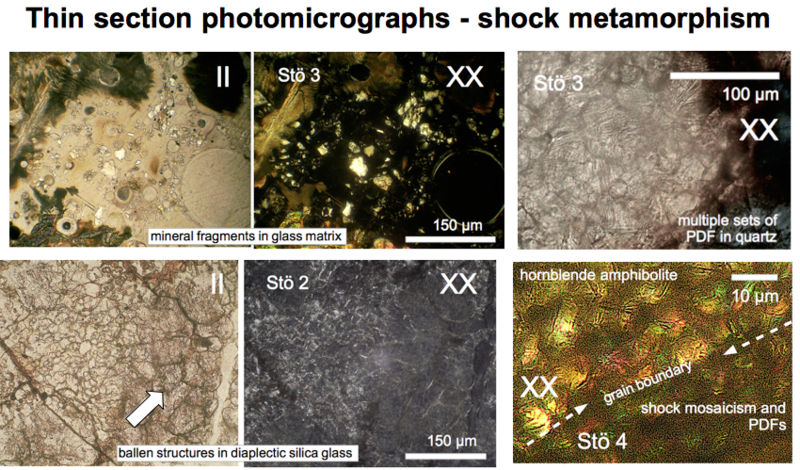 Shock-induced melting mainly of biotite (?) produced typically porous veinlets. External glass coatings are rich in K and Cu (from plant biomass? ), rarely in Ni. 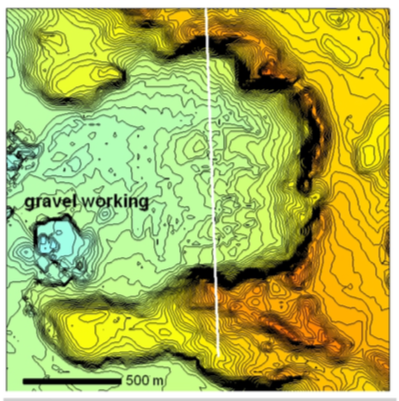 The Czech authors report on investigations of shocked cobbles excavated from the Kaltenbach and #004 impact craters belonging to the Chiemgau meteorite impact strewn field. Click the abstract article!